As a child, I used to often play hide and seek with Gasper the Friendly Ghost. We would hide and seek every chance we had. We played in the bayou, in the thicket, in the swamps of sadness, in corn fields and on rainy days we would play in the house. Gasper was always really easy to find because he was constantly giggling as if he always knew something that I did not. One particular day when we were playing hide and seek I heard Gasper giggling in my room. I entered my room and he was giggling in excess this time. I insisted he tell me why he was giggling so much and he would not. I turned to leave the room, but he was blocking the door and the door was locked. Suddenly, I heard Gasper pass gas and he erupted in uncontrollable laughter. The stench was otherwordly. I now knew why his name was Gasper as I gasped for untainted air, but it was futile. I passed out and when I awoke something was off kilter. 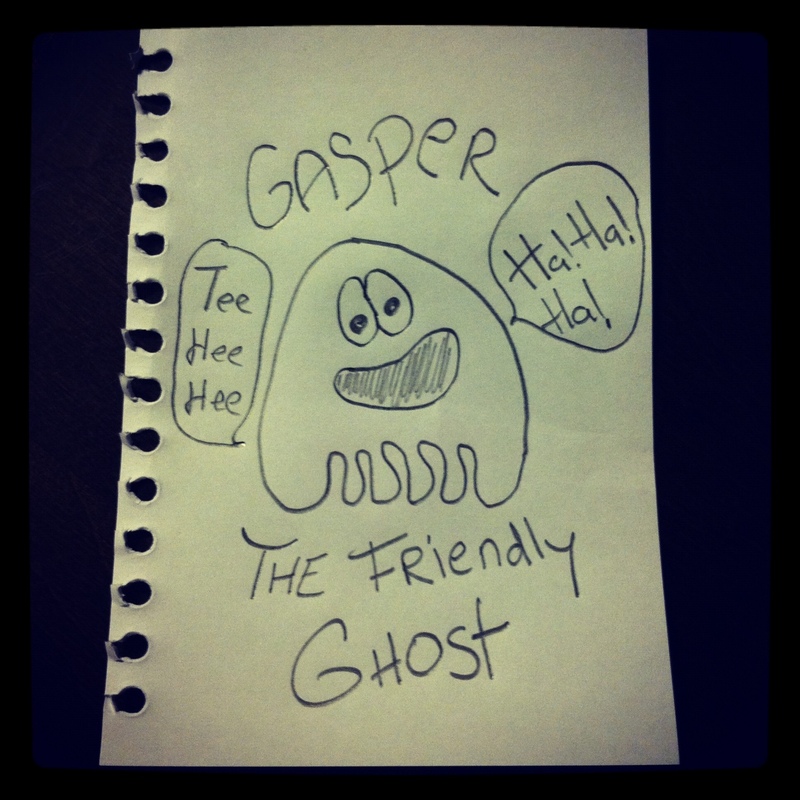 Gasper’s toot transformed me into a ghost! What a jerk. I never did see Gasper again, and, all in all, I’d suggest never playing hide and seek with a ghost. I love this! I felt real suspense when the ghost locked the door and trapped him…and then let one RIP! What created more suspense for you… knowing you’re in a locked room with a ghost or the anticipation of a locked room filling with a ghost fart?